It can be very difficult to manage!! Some days you find yourself asking, "is there a way to make my hair more manageable?!" Well here are some of the best tips and tricks from our top selling brand and leading innovators within the beauty industry- Eufora International. 1.) HANDS OFF CURLY LOCKS: Running your hands through curls and waves disrupts the curl pattern and creates dreaded frizz. 2.) BAN THE BRUSH: Brushing curls results in a frizzy, dull finish. A wide thoothed comb should be your go to detangling tool. 3.) BLOT DRY- DON'T RUB: freshly cleansed curls should be gently scrunched or blotted with a microfiber towel. Never rub dry. 4.) STAY HYDRATED: Use a great moisturizing conditioner. Hydrated curls are more manageable, soft and shiny. 5.) CUSTOMIZE: When it comes to curls, there are many different kinds and one size does not fit all. 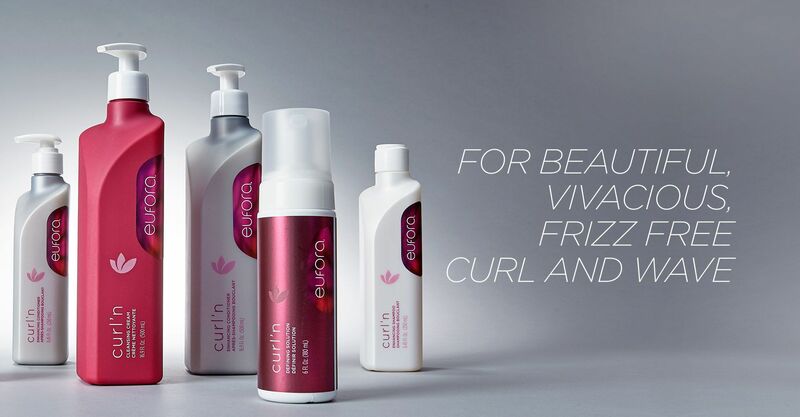 Be sure to ask your stylist to help select a daily care regimen perfect for your unique curls. 7.) THE EXTRA TLC: Every curly girl needs a weekly moisture ritual. Indulge yourself and make time for a deep conditioning treatment to strengthen and moisturize. 8.) SUPPLMENT YOUR SHINE: Twists and tunnels of curly hair don't reflect as much light as straight hair, making curls look dull and dry. For curls that look shiny, healthy and frizz free, add a great shine product such as an oil. 9.) COCKTAIL TIME: Cocktailing products helps you find the perfect regime for your hair! Experiment and invent your unique curly cocktail or ask your stylists for best practices. 10.) SNIP IT- SNIP IT REAL GOOD: Keeping curly hair well- manicured will help eliminate frizzy ends, and an expert cut will ensure you make the most of your personal curl pattern and texture.